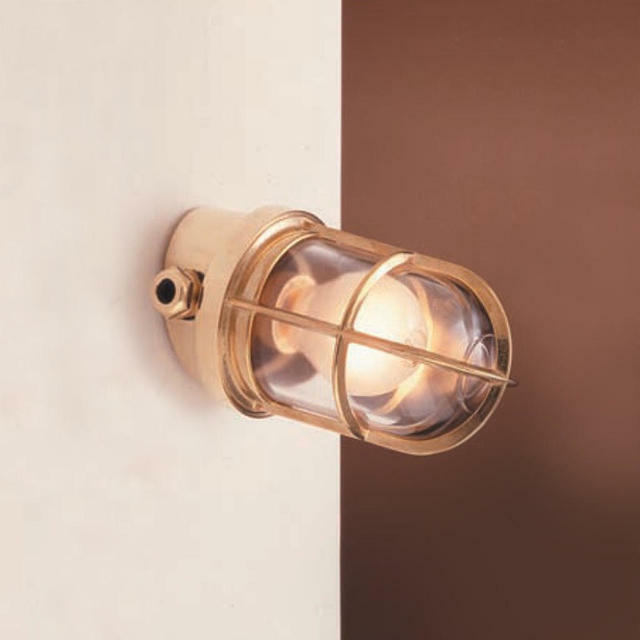 Influenced by a ship's bulkhead lanterns. 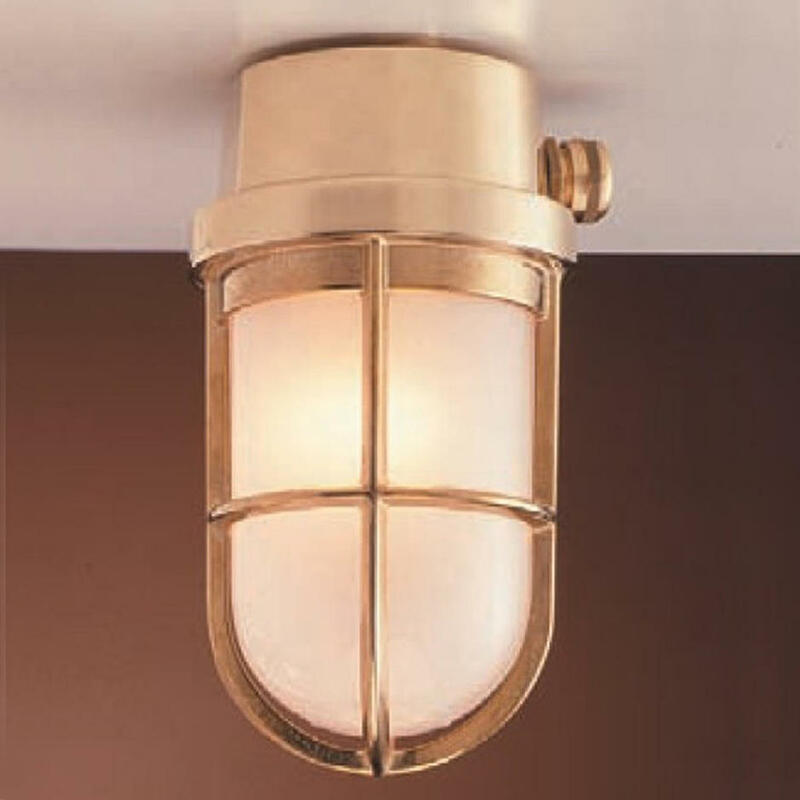 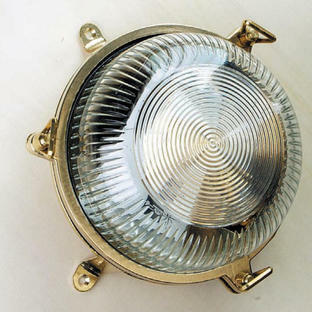 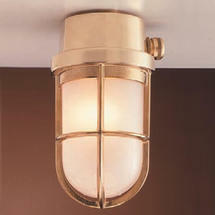 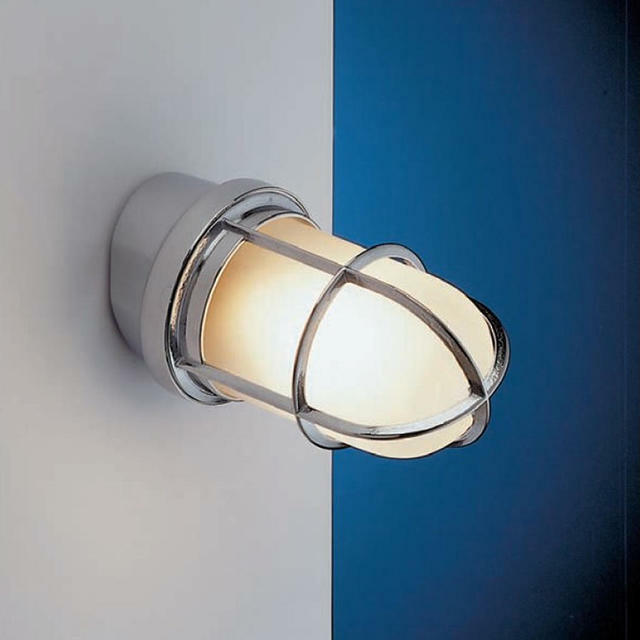 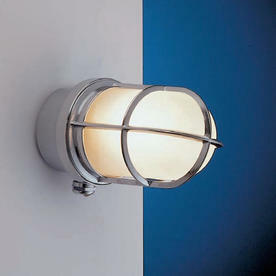 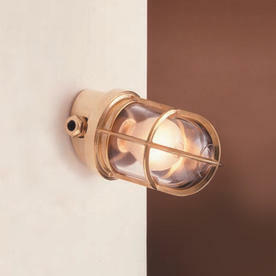 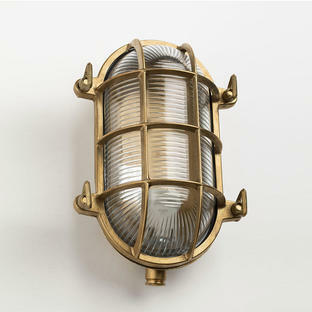 These solid brass outdoor bulkhead lights can be used as either a wall or ceiling light. 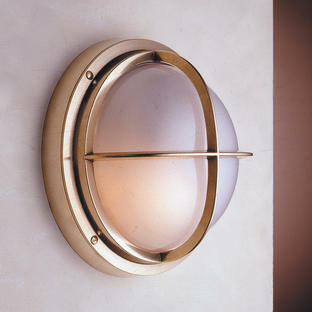 They are available with either a polished brass, or chromed brass finish. Also available as an angled bulkhead.